Keech Castings (Australia) has invested in a $3 million upgrade of its No. 2 Foundry in Bendigo, Victoria in an effort to tackle the increasing competition facing Australia’s manufacturing sector. The upgrade involves a complete overhaul of the facilities at the No. 2 Foundry, which will enable the Australian-owned business to dramatically increase output of ground engaging tools along with its agricultural points and tynes, and industrial products, while improving quality and ensuring cost competitiveness. Cameron Watts, Chief Operating Officer for Keech Australia explains that the Australian manufacturing industry is facing a challenge from countries such as China and India that have emerged as major competitors. However, there is strong demand for products manufactured in Australia due to their superior quality and a market willingness to support Australian industry where possible. To ensure product quality, Keech Castings has spent $3 million in the past year to upgrade its facilities covering the moulding equipment as well as the cooling and shakeout systems. Installation of advanced moulding and pouring technology has also helped the company achieve a dramatic increase in production capacity for new castings. Product quality is also ensured with improved dimensional accuracy. 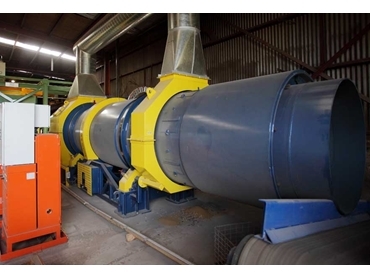 The upgrade also includes a green element as Keech Australia is now able to recycle more than 90% of the sand used in the production process. The state-of-the-art technology automatically separates the sand from each casting, ensuring more sand is recycled. Cameron adds that the improved process efficiency has reduced energy use, with less wear on the equipment, no airborne silica and less clean up time, enabling the company to produce more competitively priced products. Keech Australia also produces steel castings for use in national and international mining, excavation, construction, agriculture, rail transport and defence industries at its No. 1 Foundry.